Dagni Frederick serves as the President of the Junior League of Augusta. 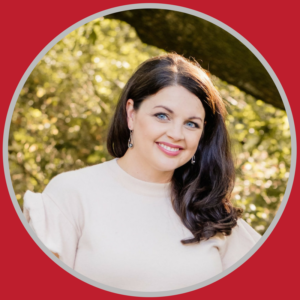 After moving from Arkansas, she joined the League in 2011 and has served in a variety of roles, including Executive Vice President and as Chair of the League’s longest standing fundraiser, Attic Sale, where she implemented the free Community Health Fair for patrons. Dagni holds a BS in Respiratory Therapy. Professionally, she has experience in respiratory therapy and interventional bronchoscopy procedures. Dagni is a past Board Chairman and currently serves as the Special Events Chair at the Gertrude Herbert Institute of Art. She also sits on the State Public Affairs Committee of Georgia (GA SPAC) and serves on their Executive Committee as the Communications Chair. Additionally, Dagni and her husband, John, served as the CSRA American Heart Association Heart Ball Chairs in 2014. Dagni’s favorite part about the League is seeing the positive community impact, as well as seeing women become better leaders within their communities through the training opportunities and volunteer experiences provided by JLA. Dagni and her husband, John, have two handsome toddler boys. Mary Deer serves as the President-Elect of the Junior League of Augusta. She was previously Director at Large and Secretary with the League. 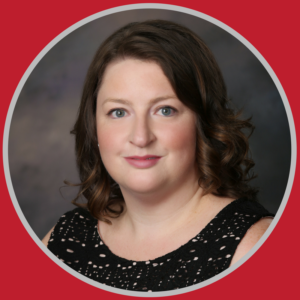 She has been a member of the Junior League since 2010 and has spent her League time serving on the Holiday Market Committee where she was chair of the fundraiser in 2014. 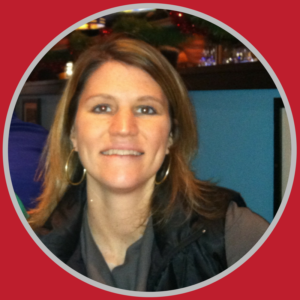 Mary holds a BBA in Finance from Augusta State University and is a 2013 graduate of Leadership Augusta. She currently works as a Mortgage Loan Officer for SRP Federal Credit Union. Her favorite aspect of the League is the opportunity to have a positive impact within the community, and the opportunity afforded to members to become informed and trained volunteers. She is mom to two rescue pups, Louie and Buddy. In her free time, Mary enjoys traveling, spending time with her family and friends, volunteering and shoe shopping. Wendy Brown serves as the Executive Vice President for the Junior League of Augusta. Currently in her sixth active year with the League, she is passionate about helping others succeed and enjoys serving in her hometown of Augusta. Previously, she has held the positions of DIAD Chair, Community VP, and Strategic Planning Director. Wendy is a 2004 graduate of the Georgia Institute of Technology with a degree in Industrial and Systems Engineering. She and her husband, Ryan, have been married for 14 years. They have two sons, Henry and Harrison, two dogs, and 11 chickens! Allyn Dyer serves as our Past-President for the 2018-2019 League year. A long-standing Augusta resident, Allyn joined the Junior League more than six years ago with the desire to meet new friends and give back to the community. She started her League career with Kids in the Kitchen, which finished its second year on a strong note and helped to build momentum to host two events the following year. Allyn then received the opportunity to work as Membership Vice President and impact our membership experiences. Allyn’s most recent placements were on the Tea-Time Committee and serving as President for the 2017-2018. Before the Junior League, Allyn worked in retail, where she developed people skills and learned to work with a individuals from diverse backgrounds. During college, she worked in education as a tutor and teacher. Allyn has been married since 2008 to Stephen Dyer and they have a four-year-old and newborn son. Laurie Mallon serves as Secretary of the league and also as the Ways and Means Chair for the 2018-2019 League year. She has previously served as the digital media manager and the volunteer coordinator for Holiday Market. She joined the League in 2015 because she wanted to join an active community of strong women who were making a difference in the community through their volunteer efforts. She received a B.S. 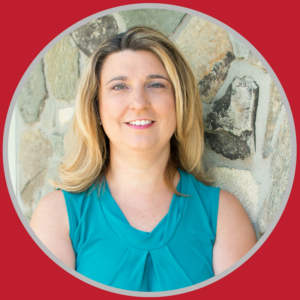 in Computer Science from Merrimack College (Massachusetts) and worked in software development for over 10 years before leaving the corporate world to start her own business where she provides health coaching and personal training for women. She grew up in the Boston area and in 2013 moved to Augusta where her husband was stationed with the US Navy. They’ve been married for 5 years and have one son. Amy Hagler became familiar with The Junior League of Augusta as a young child, watching her mother hold a variety of positions, including Attic Sale Chair, Festival of Trees Treasurer, President Elect and then President. 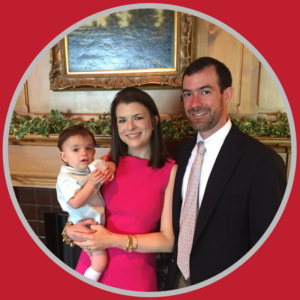 After graduating from Wake Forest University with a Masters in Communication, Amy started her provisional year in the Junior League of Winston-Salem but quickly moved home to complete her first year as a member of The Junior League of Augusta. 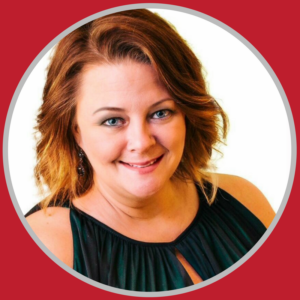 Since then, Amy has held several Attic Sale Committee positions, including Chair, Membership Vice President and most recently Executive Vice President for the 2017-2018 year. She currently sits as our Director at Large. She has assisted in several other community fundraising projects, including The Southeastern Firefighters’ Burn Foundation Phone-A-Thon and the Boys and Girls Club of the CSRA Burger Battle. Amy and her husband, Gould, have one young son and two dogs. Taylor Carter is originally from Aiken and moved to Augusta after graduating college. She has a BS in Elementary Education from Auburn University and an M.Ed. in Curriculum and Instruction from Georgia Southern University. She currently teaches first grade at Baker Place Elementary for Columbia County School District. 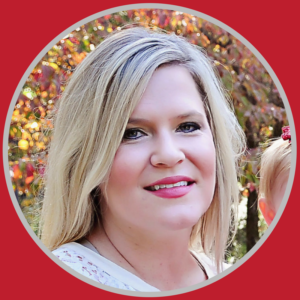 She has been a member of JLA since 2011, and has served as an Attic Sale Impact Member, Facilities Coordinator, Preview Party Coordinator, and Bulk Pick Up Coordinator. She has also served as Membership Vice President and on the Membership Council as New Member Vice Chair and New Member Chair, and is currently the Strategic Planning Director. Rachel Neely serves the Junior League of Augusta as Treasurer. 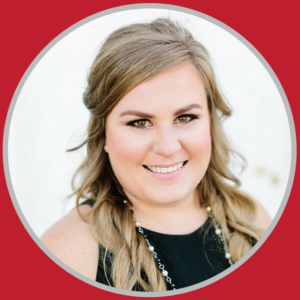 She joined the Junior League in 2013 and has served on the golf committee and as the fundraising treasurer before moving up to Treasurer two years ago. Rachel graduated Augusta State University in 2011 with a BBA in Accounting and completed her Masters in Accountancy at Georgia Southern University in 2012. 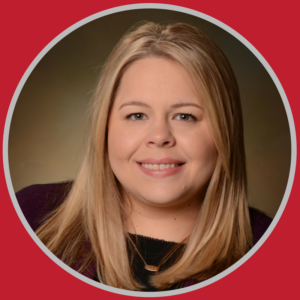 She has worked with Cherry Bekaert, LLP, a local accounting firm, since returning home in 2012 and serves the firm as an Audit Manager since 2016. Rachel and her husband, Kenn Barnett, have a little girl named Neely, who will be two in December, and two dogs. The Management Team is led by Executive Vice President Wendy Brown. Andrea G. Bird sits on the Management Team as Communications Vice President of the Junior League of Augusta. 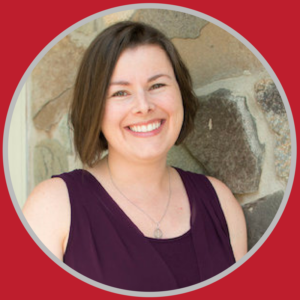 In her fifth active year, she has served several roles on the Attic Sale Committee including Chair, Fund Development Chair, and Strategic Planning Director. She’s a graduate of the University of Georgia with a Bachelor of Arts in Interior Design and is currently employed with CWC, a commercial furniture dealer in Atlanta. She’s celebrating her newlywed year with her husband Patrick after being married in April 2018. Regina Pyles serves as the Community Vice President and Community Research and Appraisal Chair. A South Carolina native, Regina holds a B.A. in Architecture from Clemson University and a master’s degree in Urban and Environmental Planning from the University of Virginia. She moved to the Augusta area after graduate school and joined the Junior League of Augusta in 2015. Regina was immediately drawn to the Community Council and has served as a DIAD Impact Member and the Foundations Vice-Chair. Regina and her husband Chris recently welcomed their son Karter into the world in December 2017. The pair’s other “baby” is their stationery and design firm, Pyles Design Works, LLC. Regina is also the Director of Planning for the CSRA Regional Commission, where she serves citizens and local governments in 13 urban and rural Georgia counties through comprehensive planning, ordinance writing and special projects. She brings the wealth of knowledge, resources, and insights gained there to her position as Community VP. Julie Kneuker sits on the Management Team as the Finance Vice President of the Junior League of Augusta, Georgia. She has been an active member since 2003 and has served in a variety of leadership and committee positions including the League’s 2016-17 President, Placement Chair, Nominating Chair, Finance Vice President, Holiday Market Chair (inaugural year), Attic Sale Chair, Website Coordinator and Yearbook Chair. 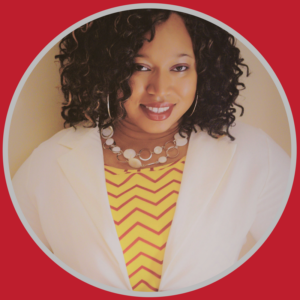 She is a graduate of Florida State University majoring in Family and Child Sciences; spending the majority of her professional career teaching and developing young minds. However, she acknowledges the Junior League for helping develop her full potential by giving her the training and confidence to build her second career serving others in the non-profit sector.